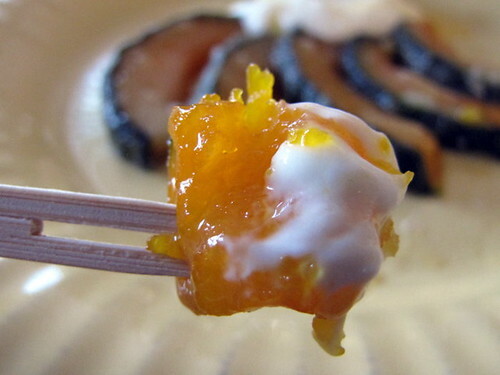 Candied Kabocha ~ I Can Do That! 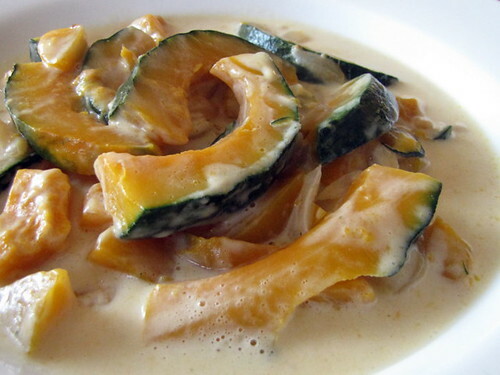 I've been in love with kabocha squash for a few years now specially as a dessert or simply steamed and sprinkled with sea salt. And because it has a flavor that's similar to chestnuts, I thought, why not candy them. Oh yeah, the candied squash pieces are simply delightful! Peel kabocha, or leave unpeeled. Cut into 1-inch cubes or 2 inch slices. In a medium saucepan, bring sugar and water to a boil and stir until sugar has dissolved. Boil rapidly for 3 minutes. Add vanilla extract and kabocha and let simmer for 10 minutes. Transfer the squash into a container and set aside. Continue boiling the syrup on low heat until slightly thick. Pour the syrup on top of the cooked squash. Let cool; cover with plastic wrap and leave overnight on kitchen counter. Drain the syrup into a saucepan and let boil until thick and syrupy. 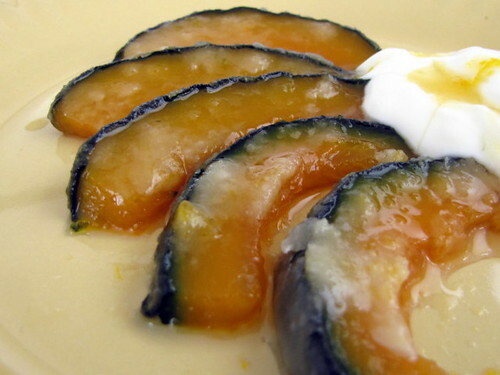 Serving suggestion: Place a few pieces of candied squash on a dessert cup or plate. Top with yogurt or crème fraîche. Drizzle all over with syrup. I cooked the other half in sautéed garlic, onion, and vegetable bouillon, then added a cup of thick coconut milk and simmered until tender but not mushy. It's a delicious vegan side or main dish. mukhang masarap - first time to hear about the candied squash. the ginataan is appealing to me right now. Candied squash is always a treat - and I really should try your suggestion about using it to fill some good, fat, old-fashioned ensaimadas! I have seen that at the market but I never knew what to do with them. That is a great use for it.